Why all the buzz around green tea? Is it because green tea comes from Asia, and therefore has to be good for you? Well, obviously not. Although one research scientist, Dr. Christopher Ochner, said on WebMD that “it’s the healthiest thing I can think of to drink”. Now, I’m not saying that all you have to do is drink green tea and all of your health concerns will suddenly melt away, but it would be nice to know how green tea is so good for you, and more importantly, why. Let’s get into some details here, so next time you grab that iced-green tea, you can feel extra good about yourself (hold the sweetener)! Antioxidants, why are they good for us anyway? Well, when we eat, our bodies have to turn food into energy. As a result, this generates some byproducts within our bodies called free radicals. Free radicals can damage our cells and may be a driver in aging. But have no fear, we can combat the negative effect of free radicals by consuming antioxidants, and one great way to do this is by drinking green tea. In clinical trials published by the American Society for Nutritional Sciences, scientists found that numerous studies suggested that the consumption of tea may bring positive health effects. The hypothesis behind these benefits stems from the high levels of flavonoids, antioxidants that scavenge free radicals. A cup of tea keeps the doctor at bay? According to cancer.gov, definitely possible! Green tea has been shown to activate our internal cancer-fighting enzymes which may hinder tumor growth. Many teas are packed with antioxidants, but the direct mechanism of cancer prevention hasn’t yet been fully established. The good news is there is a relationship between cancer prevention and tea consumption. 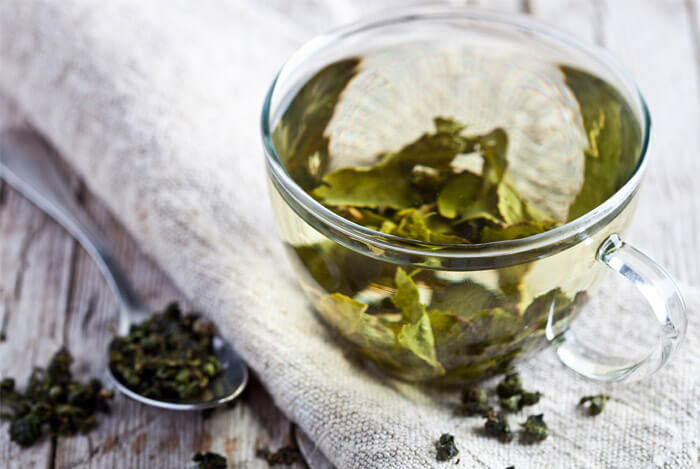 According to livescience.com, an ongoing study of women with breast cancer showed that polyphenols in green tea may slow down proteins that are part of tumor cell growth. Dr. Katherine Crew, assistant professor of medicine and epidemiology at Columbia University, also conducted a study in men with prostate cancer and found that green tea drinkers had markedly lower prostate-specific antigen, which is linked to prostate tumor growth. Evidence suggests that both sexes can enjoy the cancer fighting benefits of green tea. Drink tea and be smarter! Sound too good to be true? 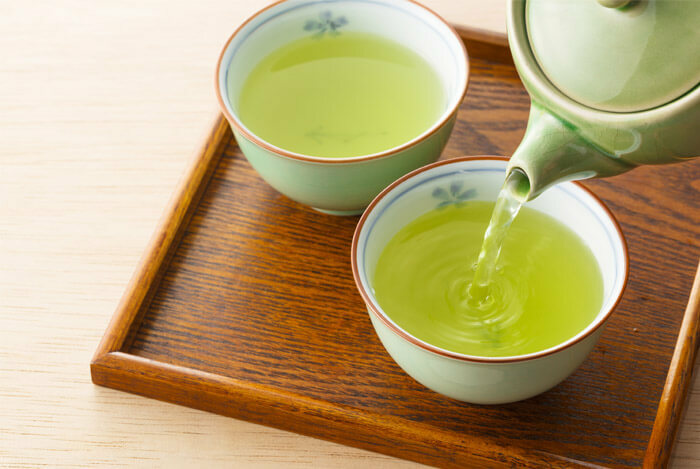 The study used healthy male volunteers and found that when given a soft drink containing green tea extract, those consuming green tea extract not only showed increased connectivity in parts of the brain, but improved performance on working memory tasks as well. Let me go brew a mug real quick before I finish the rest here! Green tea comes packed with l-theanine, and l-theanine may help you to relax and avoid anxiety. A study published in the Journal of Trends in Food Science & Technology by Dr. Juneja and team states that theanine acts as a neurotransmitter that increases alpha waves in the brain. Alpha waves are considered to be an indicator of relaxation. Human volunteers were given 50-200 mg of l-theanine and were shown to have increased alpha waves without drowsiness. So it appears you can drink green tea to help mellow you out, without falling asleep. I better gift some to my buddy. According to the Harvard Heart Letter, Japanese adults who drank more than five cups daily were at 26% lower risk of heart attack or stroke. While research around mechanisms of action is limited, there were no red flags, so it can’t hurt. “Green tea has thermogenic properties and promotes fat oxidation beyond that explained by its caffeine content per se”. That’s what Dr. Abdul G. Dulloo, author of a study published in the American Journal of Clinical Nutrition said to WebMD. 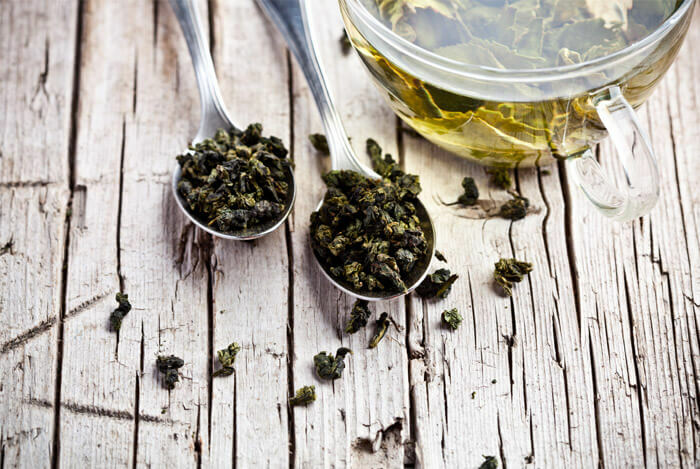 Another piece in the Journal of Advances in Nutrition mentioned that a number of studies have witnessed how green tea can improve fat burning. While overall research is still limited, given the health benefits of green tea, if it is a fat burner to boot, why not? Get sick, and the doctor gives you antibiotics. We’ve all been there, but are prescribed antibiotics the way to go? I think not! What about a natural remedy? Now I’m not saying green tea will cure you once you’re already infected (probably not), but it certainly can’t hurt. Green tea contains other antioxidants called catechins. 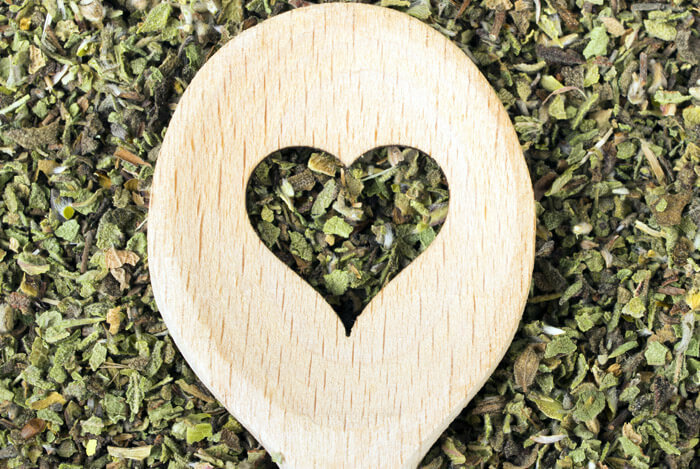 According to a study published in the Food Science Technology Bulletin, these catechins, specifically epigallocatechin gallate (EGCG) and epicatechin gallate (ECG), can hinder development of many bacterial species. While green tea isn’t a cure-all for all of your health woes, adding some to your diet could help you become healthier. I’m impressed with how much content you’re able to crank out. It’s all really good too. Hard to keep up with it. Thank you for this detailed article. BTW, I do like your lists – they certainly help to persuade and make remembering easier. Although I am a great black tea drinker, occasional coffee drinker I must confess I have never tried green tea although I have been aware of its healthy reputation. However, reading through all of its health bestowing qualities (and my suffering from one or two of the unfortunate conditions mentioned) I am now determined that I shall experiment. I shall treat myself the next time I go shopping. Thank you and kindest regards. I’d love to hear what you think of green tea after trying it! I can’t quite quick my coffee habit, but Green tea is my go-to drink in the afternoon when I’m feeling sluggish. It perks me up without feeling jittery. My sister gave up coffee for green tea a few weeks ago. Thanks for sharing Jeremy. How much of this do you drink in the morning? About two tablespoons a day in a cup mixed with water or juice. I really appreciate your article. I’ve recently started drinking YEVO green tea infused with vitamins and your article confirms what I already thought to be true, that green tea is really dare good for you. Green Tea, drink on my friends! Cheers to green tea Darcy! I’m habituate to drink coffee daily.. How can I avoid it can you suggest ? Ria, have you tried alternatives like tea? It can be black tea if need be. SJANI, you’re right. Green tea is superb. Wow green tea has so much of benefits can you recommend few best green tea. There are many different types. Just go to your local grocer and they should have a lot of options. Green tea equates too good health. Crystal, it really is great. Hi Mike, Since i started drinking green tea, i got back pain, i don’t know is it because of Green Tea or not. Are there any side effects of Green Tea ? I don’t think it’s related to the tea, Ziva. I would check out other things you have adopted recently. Hi Mike, may be long work hours in front of computer is the problem. Please write an article about nutrition food to avoid back pain. Thanks. Ziva, I’ll see what I can do. Thanks for the suggestion. Sarah, glad I can help. Let me know how the green tea works ! have learned many new benefits of green tea. i was aware of some of its benefits but “Anti-Anxiety and Relaxation and oral health” is something new for me. Thanks for this list. Glad you found the article helpful. Green tea’s benefits surprised me too as I was doing my research. Looking forward to hearing more from you. Nectar of youth well deserved the title for green tea. You also mentioned this in your latest article, “10 Foods You Should Be Eating To Live Longer”. Wow! what a great article.I really love your post.It is really very informative. I know green tea is very good for health, but you provide a lot of benefits.Thank you. wow nice artical Green tea is my go-to drink in the afternoon when I’m feeling sluggish. It perks me up without feeling jittery. I Love Green Tea. It is very good for health. Thanks For This Artile. Just a question – can teenagers start drinking green tea? I have a 15 year old daughter who drinks milk and I’m thinking if I could let her try. Will it be okay for her at her age or is it too early to let her drink green tea? I would definitely moderate caffeine consumption. Hi Mrs.Gee Enriquez – Green Tea has great health benefits that any age that can drink, depending on how they want their drinks to be prepared. Out of this green tea powder you can add honey or lemon to vary the taste. If your teen needs help conquering stress, a cup of green tea has beenshown to minimize stress levels. It may also help them when studying for a big test. Some studies suggest it can help improve memory and other cognitive functions. MRS. GEE ENRIQUEZ, green tea is rich in catechins (disease fighting nutrients) that can protect you from heart problems and cancers. For teens, these catechins can help fight off cavities and the flu and keep them heart healthy. It is good to ask the pediatrician before adding green tea to her diet. I Love Green Tea. I started drinking green tea several years ago. It is very good for health. Does Green tea have any side effects ? I have gastric problem. I would consult with your physician based on your medical history. Chintan, if you want to sweeten it up, add some honey into it. Every bitter thing except poison is good for health and every sweet except honey is dangerous for health. Hi mike. To reap the full benefits you listed here, you must drink pure freshly brewed green tea. Sugar, milk or creamer weakens the catechins and flavonoids that we are after. If the taste bothers you, just think of all the health and beauty benefits it brings you. Oh and if you’re using teabags, steep it for 2 – 3 minutes only so the flavor won’t be too strong. No guts, no glory. No pain, no gain. Happy brewing! I daily drink green tea and love to do so … my fav . help me relieve stress and relaxes me. Yes, it is excellent for elevating stress and toxins. Keep reading for more updates. Green tea is always better than normal tea because normal tea harm your body, but green tea always healthy for everyone. Neha, you are absolutely right. It is a magic drink that do wonders to your health. Joanne, you are right. Peppermint also gives a nice taste. Thanks for posting here. I loved reading your article =) Thanks for the tips. I’ve always been a big fan of green tea and this magical drink called Yerba Mate. It both has numerous health benefits and I think everyone should incorporate this in their morning routine. Marianela, thanks for posting here and sharing additional information. LOUISA, 3 cups per day is normal. Glad to hear that you’re cancer-free now, take care of your health. The first wealth is health! Good day, is green tea good for cataract? SORAYA, yes, green tea is full of antioxidants and aid in cleaning eye and vision related issues if taken daily. Take 2-3 cups daily at the onset of cataract in order to stop the damage. Is it possible in gaining weight by green tea? zomato, no, green tea can keep unwanted pounds off and help fight obesity. It can’t help in gaining weight. Good to hear. You’re on the right track.. Thanks for reading.. Keep visiting for more updates. SUMMER, it is absolutely safe to have a cup of green tea. Green tea helps in detoxification of your body along with other list of benefits. You should say good bye to your coffee or other stimulants instead. I usually use green tea instead of coffee in the morning. It’s effective as coffee and more healthier than coffee. Definatly, there’s no doubt that green tea is much healthier than coffee. As I always say that You should say good bye to your coffee or other stimulants and enjoy green tea. how to make natural green tea??? Green tea is very good but be careful bcos it contains caffeine though not as much as regular tea. 3 cups a day is normal. So enjoy green tea in safe amounts. Thanks for posting here. Is my fat will cut within 1 month if i take regularly this green tea and thanks for review i am gonna buy it from your site. Thanks for reading. Keep visiting! So, I would recommend regular green tea. STEVEN, thanks for sharing your mission here. Good luck! Thanks for reading. Keep visiting for more updates! my work is kinda stressful, i often have a cup of green tea and watch my favorite TV programs at night. That’s the most peaceful moment in my life. THOMAS, thanks for reading and posting here. Keep reading for more updates! I often enjoy it with playing game Brain It on. Lol . you should experience it. HENAN, thanks for you suggestion. Cheers! Very Nice Blog Post. Your way of presenting is good. Exercising is not a sole method by which you can attain a good physique as well a healthy life. Green tea is a beverage which everyone should adopt in their daily schedule. It provides you with freshness and agility. It has many healthy and medicinal properties. I had used the Green tea for two months results we awesome. Really Green Tea is very Good foR Health. I completely agree with your article. Green tea is reach resource of body essentials and if you drink it everyday then probably won’t sick. I’m glad you liked it, Sheena! Good day all, thank you for the information. This info is very nice and can add knowledge, thank you already sharing. GREEN TEA IN MILK (pink tea) IS VERY BEST for men who have serious nightfall problem ..4 to 12 time in month ..this tea have amazing effect reduce to 1 to 2 time in month … and its importance is very high for such persons… it has also amazing effect in urethra burning .. reduce to minimum level …..
Green Tea is very good for health It removes toxins of the body and make man fit. your blog is wonderful provide good information. This is a nice advice, Now i would daily take it . Its really a good blog on Matcha Tea. I appreciate your article. Its important to get quality matcha teas. This blog is really helpful to give a light in this issue. So thanks for sharing all that important information. Thanks for providing helpful information, Green tea consumption has great health benefits as well. It is believed that sipping on green tea cleanses, heals and rejuvenates our body from within.